India, it’s one of those bucket list destinations for many. As of yet I have still to make it there! 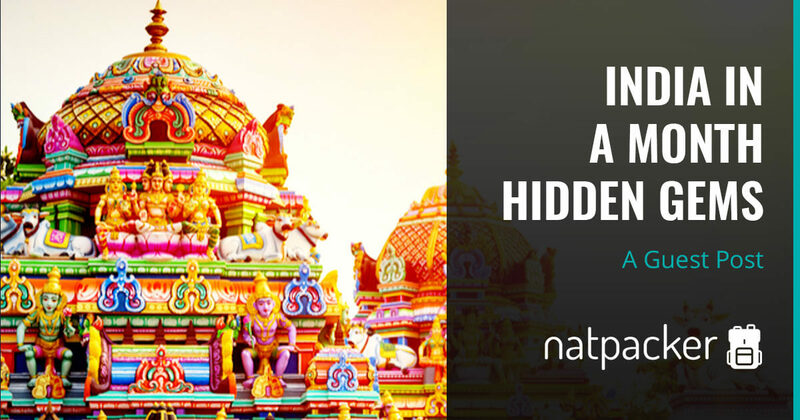 It is pretty high on my list, but for now Dillion from All the Rooms has contributed this post to showcase the hidden gems that can be seen in India in a month. A trip to India is a trip for your senses: breathe in exciting new fragrances, sink your teeth into explosive flavours, plunge into the Ganges river on the banks of Varanasi, or marvel at the centuries-old architecture. However, for many travellers, India can be a little overwhelming. If you’re looking to ditch the crowds and bypass the Taj Mahal, here’s a few hidden gems that will make your trip a memorable one. India’s southern state of Kerala lays claim to some of the most breathtaking landscapes in the entire country. Sweeping views of rolling tea fields and boat tours to idyllic houseboats perched on backwaters – this is India, Southern style. Start your month-long Indian adventure in the South by flying into Cochin International Airport. A visit to the tea plantations in Munnar is highly recommended. 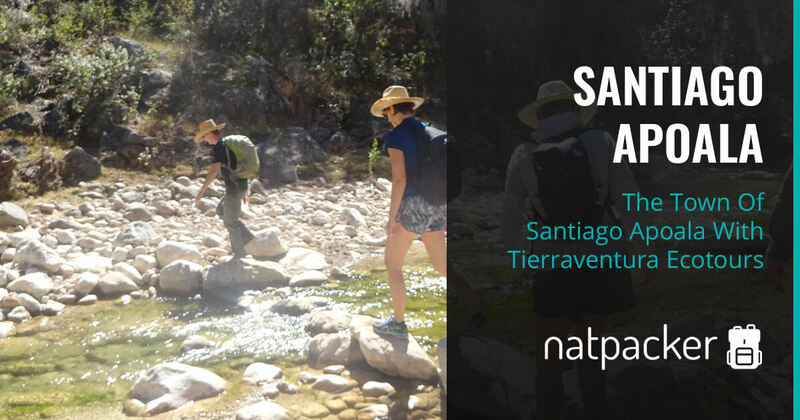 Visitors can explore the region to uncover its environmental beauty and interesting history. Tea has been an integral part of the country’s identity and has a complicated relationship with colonialism. 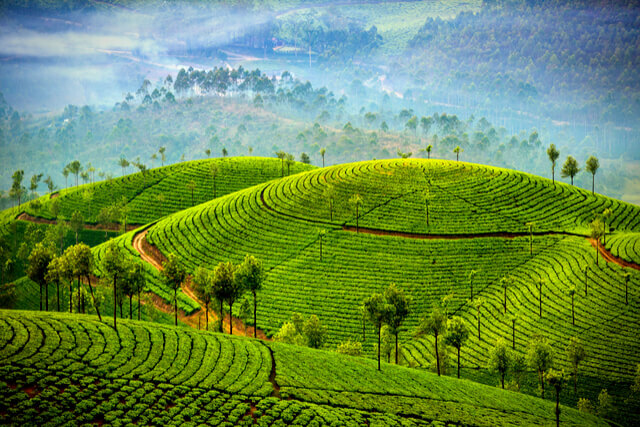 A tour through the misty hills of Munnar is a great way to get outside, taste the region’s specialty and learn a thing or two about the world’s second most consumed beverage. About 800 miles north of Kerala (and a mere 50 miles outside of Mumbai) rests one of India’s most hidden hill stations. Matheran is labeled a ‘hill station’ because it’s only accessible by foot, horseback, or a tiny local train that sputters along red clay tracks with beautiful views of the countryside. 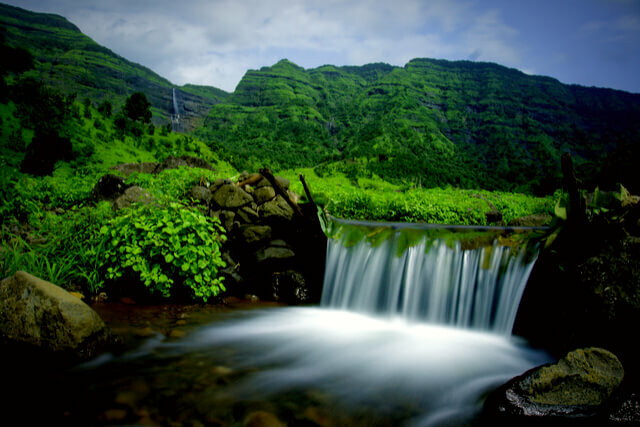 Originally established as a highland getaway for residents of Mumbai seeking to escape the heat and the crowds, today Matheran provides the same pleasures for travelers looking for hidden gems. Check out Porcupine Point for gorgeous sunsets. Or head to Prabalgad Fort for a winding hike up a lush monolith. Maybe head to Nariman Chikki Mart to taste a sweet local delicacy. If nothing else, roaming around a town that is blissfully free of motorised vehicles will feel like a surreal blast from the past – well worth a stop on your Indian journey. For many travelers, the amount of chaos and pollution in Varanasi takes away from its sense of holiness and spiritual purification. 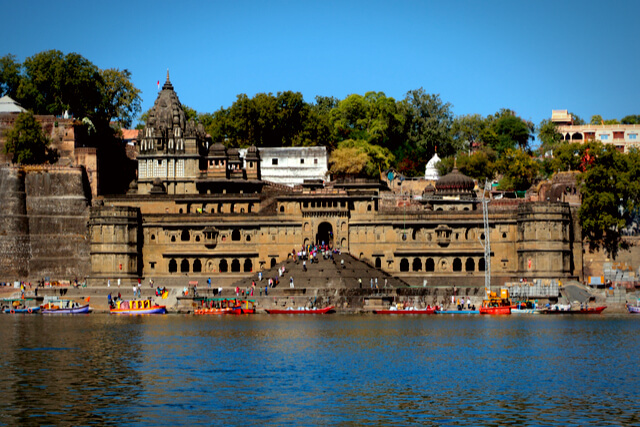 If you’re not keen on crowds and want to experience an iconic riverside town known for its spirituality, head to Maheshwar, the “Varanasi of Central India.” Explore ancient temples, take a boat ride to famous textile markets, and head down the holy ghats (steps) to the river. Away from the water and historic buildings, Maheshwar boasts a colorful collection of houses, streets, and overhanging balconies. A quick two-hour drive from Indore, Maheshwar is a refined, miniature holy site that packs as much of cultural punch as Varanasi, minus all the crowds. You’ll probably have to repeat yourself when telling people you went to the Raj Mahal (yep, the Raj Mahal). 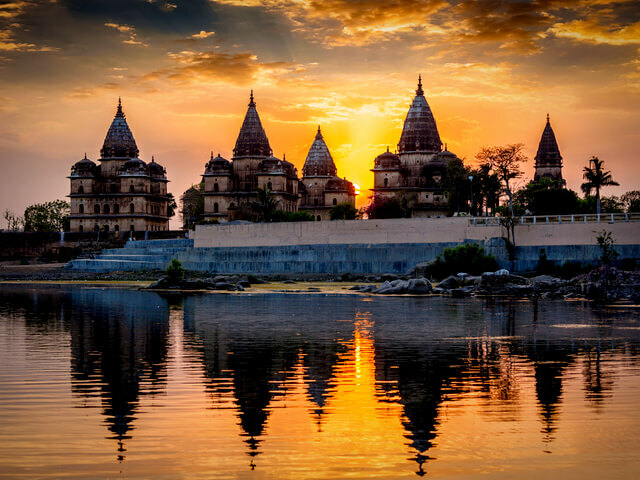 Make your way north, take a pit stop in Orchha to see some classic Hindi architecture and tour a palace that some say rivals the Taj Mahal. The walls of the Raj are laden with intricate depictions of mystical battles between ancient deities that will leave even non-believers in awe. On the foothills of the Himalayas, India’s northeastern state of Sikkim is a dream destination for any mountain-lover. Only recently transitioning from ‘Mountain Kingdom’ to a sovereign Indian state in 1975, Sikkim is warm-hearted and easy-going with its own humble personality. Gangtok, the state’s capital, is a beautiful collection of shop-lined streets draped over the hilly terrain. Perch yourself in the Baker’s Cafe and plan your next trekking adventure. Yak safari or paragliding are especially great in this hidden Himalayan gem. While you’re in the North, head over to Meghalaya to experience an overlooked region with unique cultures and customs. In Meghalaya, women reign supreme; they own the land, homes, and families take the mother’s surname in one of the world’s few remaining matrilineal social structures. Meghalaya is also surprisingly Christian thanks to a legacy of missionary work in the region, mixed with a diverse spattering of indigenous tradition. 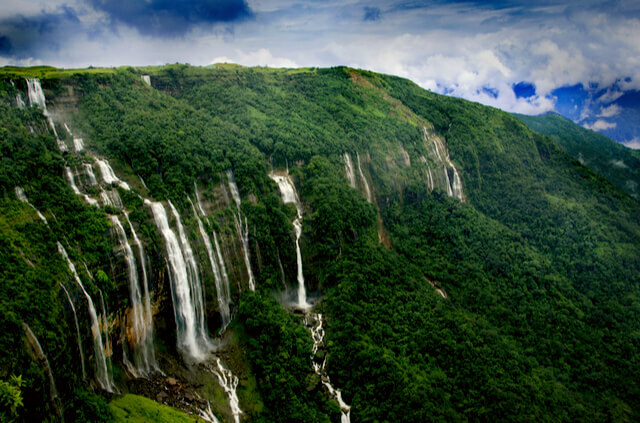 Ecologically, Meghalaya is comprised of dense rainforests, massive living tree root bridges, dramatic waterfalls, and an extensive network of caves. Scroll through the region’s options for community-based ecotourism and discover a lesser-known side of India. 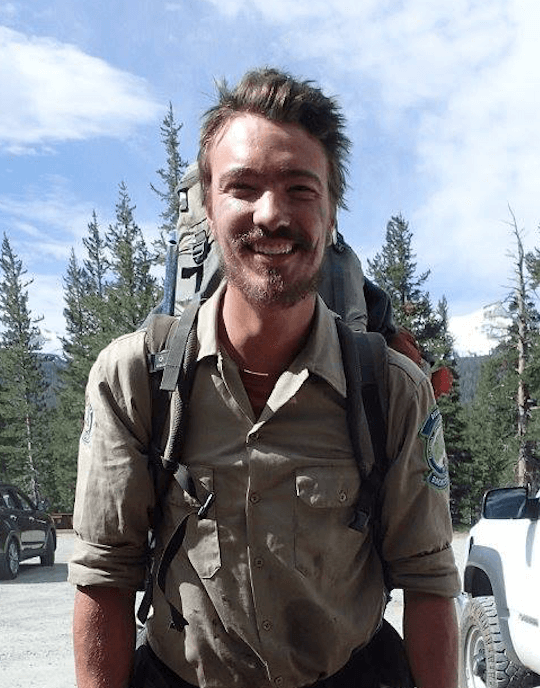 Dillon is a travel-hungry outdoor enthusiast originally from Encinitas, California. 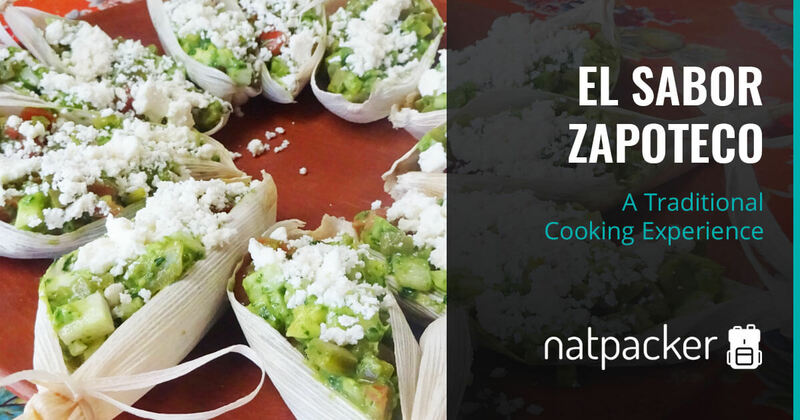 He recently moved to Medellín to begin his next chapter as a content writer for All the Rooms. Besides writing, Dillon enjoys live music, football, cooking, and backpacking.